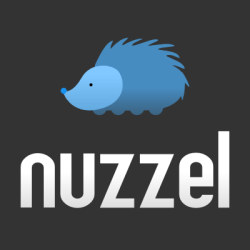 Nuzzel, a San Francisco, CA-based social news aggregator. The super-easy way to see news from your friends. Jonathan Abrams is the Founder & CEO of Nuzzel, the super-easy way to see news from your friends. Jonathan is also co-founder and Managing Partner of Founders Den, a shared office space and private club for experienced entrepreneurs and their friends. Previously, Jonathan was the founder & CEO of Socializr, Friendster, and HotLinks, and a software engineer at companies such as Netscape and Nortel. Jonathan is a mentor in Steve Blank's entrepreneurship classes at Stanford and Berkeley, a top-rated mentor at The Founder Institute, an advisor to AngelList and CodeNow, and has been extensively involved in the Silicon Valley entrepreneurial community for over ten years, including as a long-time member of the advisory board of the Silicon Valley Association of Startup Entrepreneurs (SVASE), co-chair of the SDForum Venture Finance SIG, moderator of the SVASE CTO Forum, and a judge for the Stanford Entrepreneur's Challenge business plan contest, the UC Berkeley Business Plan Competition, the Stanford-Berkeley Innovators' Challenge, the Intel Challenge, and Start-Up Chile. That doesn’t mean you’re going to see banner ads popping up all over the startup’s app and website. Instead, the Nuzzel Newswire consists of sponsored links in Nuzzel’s email newsletter, pointing to a blog post, press release or news article of the advertiser’s choosing. So why call it a “newswire” when it’s really just sponsored content? Nuzzel founder and CEO Jonathan Abrams told me he’s pitching this as an alternative to paying for press release distribution through a service like PR Newswire, where he said “probably few people will really read” it. Abrams declined to reveal anything about the size of Nuzzel’s audience, except that “it’s fair to say that at this point, the real value of the Nuzzel Newswire is the quality of the audience vs. huge size” — a point underlined on the Newswire website, which highlights a few individual Nuzzel users. Top 3 Startup Accelerators Produce Nearly 10% of U.S. Series A DealsWe’ve been exploring to what extent top startup accelerators like Y Combinator, Techstars, and 500 Startups are contributing to the top of the venture capital funnel. According to Mattermark data, the prevalence of graduates from these programs raising Series A rounds was near all-time highs in 2016, with 9.3% of Series A deals. From the InvestorsPrimary Ventures covers all seed activity in the New York City, including investors, funding amounts, sector breakdown and trends that they observed for the quarter in “Q4 2016 NYC Seed Deal Report”Parker Thompson of AngelList responds to Fred Wilson’s post on reserves with an entrepreneur’s perspective in thinking more broadly about the importance of venture funds’ models and fund size as a key driver in “To the Extent You Need Risk Capital…”Tae Hea Nahm of Storm Ventures digs deep into the core go-to-market questions he asks when he’s in a board meeting in “Reviewing Go-To-Market results at Board Meetings.”Hunter Walk of Homebrew believes founders are losing out on an opportunity to get input, guidance and credibility from an addition that goes beyond just bringing someone on as an advisor in “Once You’ve Raised a Series A, Add an Outside Director”Elizabeth Yin of 500 Startups advises founders to come up with a rough outline of their mission statement and company values, before making their first hires in “Why You Shouldn’t (Always) Hire That Stanford Engineer?”From the OperatorsJonathan Abrams of Nuzzel discusses how he moved to Silicon Valley in the late nineties to work for Netscape as an engineer, started his first companies, and more in “Origins Podcast, S2-E3”Andy Cook of Tettra breaks down the pros and cons of building v1 of his product on Slack, for any startup struggling to figure out how they will acquire their first 50 customers in “Building on Slack Saved Our Startup”Nis Frome of Alpha expands on the seven most meaningful and actionable insights they found after running 2,000 experiments for Fortune 500 product teams in “Forward-Thinking Product Teams”Carl Martin of Wurqs outlines what he learned about building habits by tracking his mood, productivity and reflections as he started a company in “The Big Reflection Experiment”Samyukta Sankaran of ServiceRocket details how to transition from software project to product management roles in “Want to Transition From Software Project to Product Management? Here’s My Advice (Including Pitfalls To Avoid)“A Snap Swipe And Ecommerce’s Continued BoomWe have two quick bites for you in this post, one on Snapchat and one Amazon. Give it a read! It’s like having all the brightest minds in the tech, startup, and VC world wired right to your phone. With a resume spanning Google, Apple, and now Upstart, it’s safe to say the Dave knows a thing or two about the tech world. This spirited VC is your ticket to staying on top of startups, tech advancements, and even this hot Twitter tip. The former author of Fortune’s Term Sheet is still one of the most-listened-to voices in the finance, startup, and tech world. Kara Swisher runs Recode and like her publication, Swisher’s Twitter feed offers tech news, reviews, and analysis—and more. If there is anything hindering app growth currently, it’s how complicated and misunderstood app growth and marketing actually is. So we’ve interviewed the “app growth hall of fame” and asked them a range of questions designed to provide a toolkit for growing an app business. For a lot of the following entrepreneurs, growing their social app came down to one thing: pure grit. The value of the app is directly correlated with the number of users in your community who also use the app. Wishbone is a social app, primarily for girls in their late teens to compare their interests, celebrities, and preferences with each other. Nuzzel has created a prototype feature that allows users to see the most important tweets from their friends. Nuzzel founder Jonathan Abrams tells Business Insider that the feature is being tested and may not make it into a future update. Twitter investor Chris Sacca had urged him to try it:I want @Nuzzel, but for Tweets. It looks like this:NuzzelNo surprise that Trump dominates my friends’ tweets — I follow a lot of journalists. Email Address JoinFollow Business Insider Australia on Facebook, Twitter, LinkedIn, and Instagram. Nuzzel has created a prototype feature that allows users to see the most important tweets from their friends. 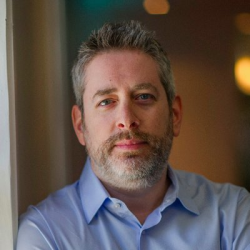 Nuzzel founder Jonathan Abrams tells Business Insider that the feature is being tested and may not make it into a future update. Twitter investor Chris Sacca had urged him to try it:I want @Nuzzel, but for Tweets. The Nuzzel prototype — which you can try for yourself here — shows the tweets that recently received the most retweets and comments from other people you follow. It looks like this:No surprise that Trump dominates my friends' tweets — I follow a lot of journalists. Girls in Tech logo “It’s an honor to add such accomplished female leaders and role models to the Girls in Tech Board,” said Adriana Gascoigne, CEO of Girls in Tech. The increase of board members will allow Girls in Tech to expand education and networking initiatives, while adding experienced leaders in high growth technology companies. “It’s an honor to add such accomplished female leaders and role models to the Girls in Tech Board,” said Adriana Gascoigne, Founder and CEO of Girls in Tech. The Girls in Tech board voted to increase the board from twelve to fifteen members. About Girls in TechGirls in Tech (GIT) is a global non-profit focused on the engagement, education and empowerment of girls and women who are passionate about technology. Welcome to the weekly installment of VB Engage, the VentureBeat podcast where we dissect mobile and marketing in a brutally honest way. Roland hosts his own podcast — the Marketing Agility Podcast — and mentioned that he had never met his co-host in person! VB Insight recently did some new research about mobile marketers and about mobile marketing, in general. Worse still, 60 percent of the mobile marketers who responded shared that mobile was completely siloed as a channel strategy in their organization. Many people at the organization have no idea how to maximize these mobile marketing technologies. Apps within apps, people, and we’ll tell you why you should get seriously pumped about this trend too. And then we interview Peter Dering, who was just about to launch his sixth successful Kickstarter campaign at the time we interviewed him. This week’s interview with Peak Design’s Peter Dering is a great one. It was, at the time, the second-most-funded Kickstarter, and it helped put the Kickstarter platform centerstage. If you’ve thought of doing your own Kickstarter campaign, you need to listen to Peter dropping knowledge. The idea is that your social media friends are likely to have interests similar to yours and so the news they post will be relevant. Nuzzel was founded by Jonathan Abrams, known as the founder of Friendster, a now defunct pre-Facebook and early social media site. It creates a feed of news stories shared by your friends on Twitter, Facebook and other social media. In addition to showing you news posted by your friends, you also can choose to see postings by friends of friends. Despite a cutesy name that follows Web convention by misspelling a common word, Nuzzel has a fresh take on choosing news stories. They include:TransferWiseFinancial technology, or “fintech”, is one of Britain’s best hopes for a worldwide hit, and TransferWise is one of Britain’s best fintech companies. There are revolutions ahead: virtual reality, artificial intelligence, autonomous vehicles and wearable technology are all in their early days. None are yet polished enough to really seize the imagination of users – or even to have been released. It may be expensive to build, pose a tricky technical problem, or simply have some strong incumbents fighting back. But if it takes off Jaunt, with an executive team drawn from Flipboard and Lucasfilm, hopes to provide the tools required. Facebook Twitter Pinterest Taavet Hinrikus of TransferWise. There are revolutions ahead: virtual reality, artificial intelligence, autonomous vehicles and wearable technology are all in their early days. None are yet polished enough to really seize the imagination of users – or even to have been released. It may be expensive to build, pose a tricky technical problem, or simply have some strong incumbents fighting back. Facebook Twitter Pinterest Ning Li, the founder of Made.com, in his London showroom Photograph: Rex/ShutterstockMADE.COMThe online designer furniture retailer is one of a few trying to become the Asos of furniture. With that in mind, we decided to visualize the rise and fall of venture-backed news reader apps. This year alone saw a flurry of news reader app acquisitions or closures including Circa, Reverb, Zite, and Prismatic. $1M Dan Gilbert, Detroit Venture Partners, Josh LinknerLooking for more venture capital data and industry trends? $1.7M Lamp Post Group Summly Launched by then 17-year-old Nick D’Aloisio, Summly offered a news reader app built on summation technology. Flipboard raised $50M from JPMorgan this year but lost several key executives this year including CTO Eric Fend and head of product Eugene Wei. Nuzzel’s mobile app is a great way to only follow the news that people you curate are sharing, but the company’s expanding that further today to email newsletters. With Nuzzel’s newsletter, the idea is you can get curated news delivered directly with no effort, from the perspective of influencers on Twitter. ➤ Nuzzel Newsletter Learn moreThe company’s CEO, Jonathan Abrams, said that the feature was created because “email newsletters are hotter than ever right now” but producing them requires “hours of work” each day. Now you’ll be able to sign up for email newsletters for the people you’re interested in following, and you’ll get automatically generated emails with the top five stories from that person’s Twitter feed. The social newsletters are available for not only your fans who are Nuzzel users, but also non-users, or even those without Twitter accounts. Real-time news platform Nuzzel has updated a rather old method of networking to help you better reach your fans. The company now supports email newsletters which are automatically generated based on your Nuzzel feed. For many accustomed to keeping up with the news in their respective industries, sharing content on Twitter and Facebook seems most natural. Nuzzel was started by Jonathan Abrams, founder of one of the original social networks — Friendster. Our daily email, with all the freshest future-of-journalism news. What’s the best way to follow how the news is changing? Is Google's AMP project better than Facebook Instant Articles? There’s so much going on, but what I think Nuzzel is doing is pretty unique. And for us, the advertising isn’t really the kind of stuff that ad blockers would strip out, that really annoying stuff. So, we’re pretty savvy folks about social, and we’ve got a great list of Silicon Valley investors. We recently changed our email template, and we’re planning to do even more stuff with email and more stuff with mobile push. They’re probably complementary, but it definitely doesn’t do any of the things that Nuzzel does. ), is launching his latest startup today: Nuzzel, a site for browsing the news that your friends have shared on social networks. Abrams says he’s skeptical about delivering news tailored to a user’s interests, rather than social signals. The headlines can be arranged based on how many of your friends shared them (so that the most-shared news is at the top), or arranged chronologically. There seems to be a glut of social newsreading services, but Abrams says there’s nothing that delivers the experience he’s looking for — something fast, easy-to-use, and social. Jonathan Abrams, whose resume as a founder or co-founder includes the Founders Den startup workspace, event service Socializr, social bookmarking service HotLinks, and Friendster (I don’t need to explain that last one, do I?